We love creating things with building blocks in our house. 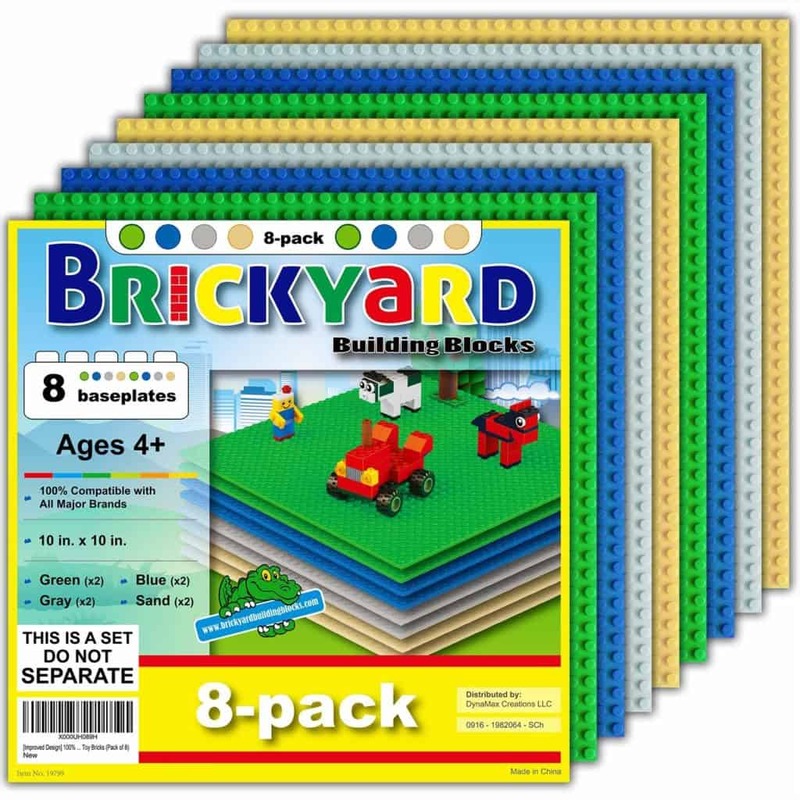 If you do, too, and you’re looking for some new sets to add to your collection, you’re going to want to check out the Brickyard Building Blocks on sale today only. 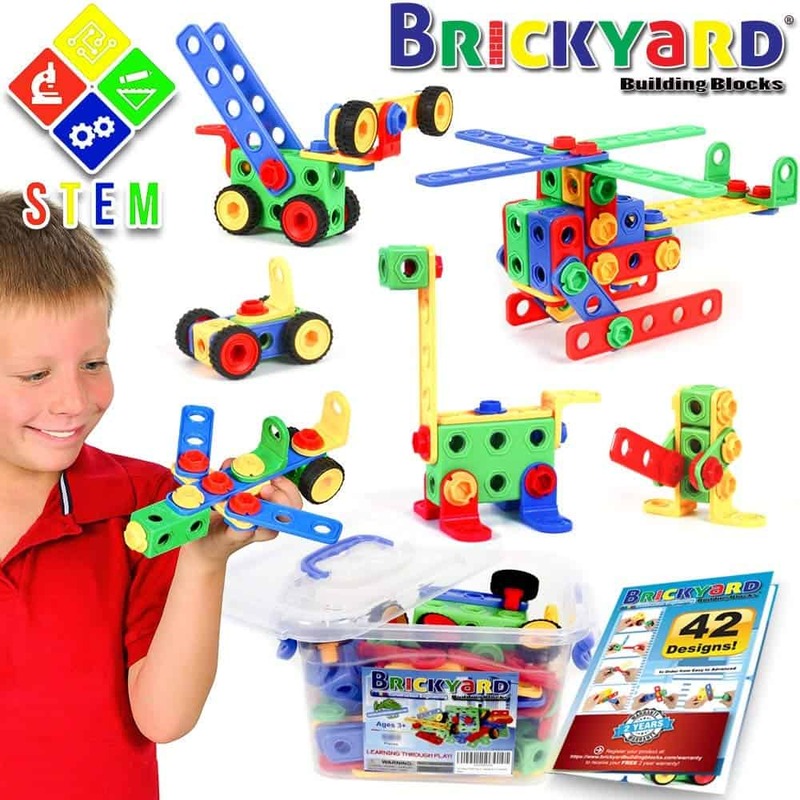 Up to 6 people can build at once using this Brickyard Building Blocks 163 Piece STEM Toys Kit. This set uses a screwdriver and wrench to bolt the blocks together. And, it comes with a full-color guide with 42 designs your kids can build. Baseplates are a must-have for building blocks because you can use them as grass, ground and water. This Set of 8 Baseplates comes with different colors so you can create different scenes. You can also stack these on top of each other with building blocks in between to make multiple stories. 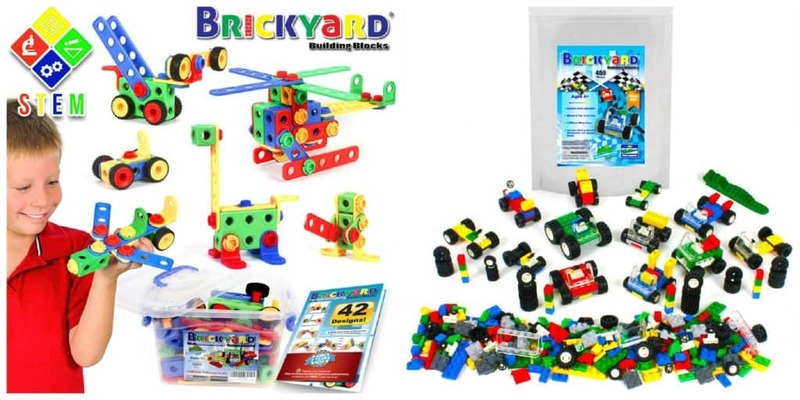 This Brickyard Building Blocks Wheels, Tires, and Axles 459 Piece Set makes it easy to create cars of all sizes. 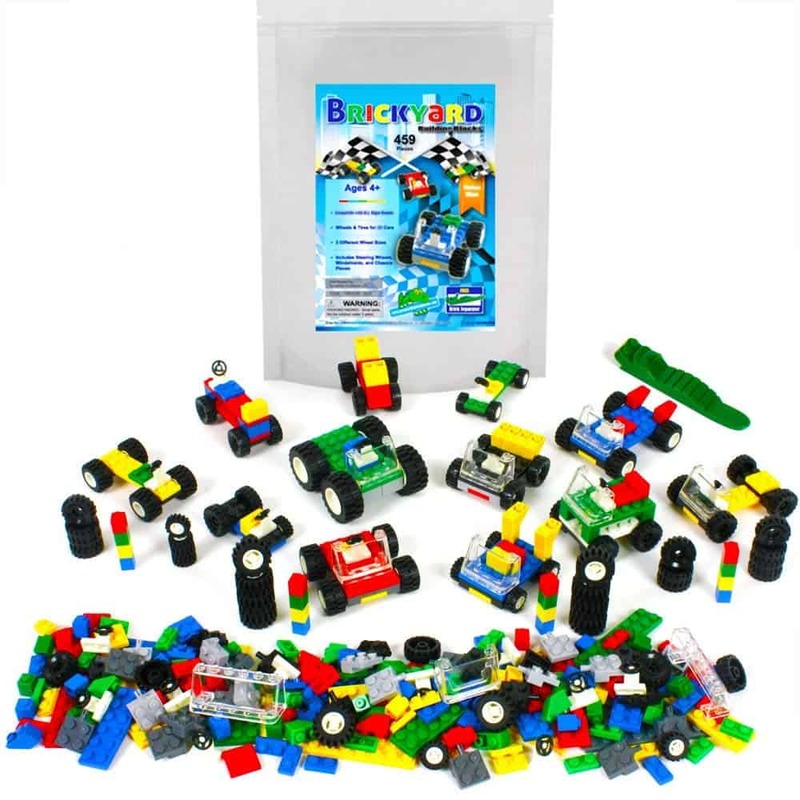 This set comes with 18 car frames, steering wheels, windshields, and a large quantity of red, green, blue, and yellow car frame pieces.